There's something wrong next door. At least, that's what neighbors Howie Jeffries and Emily Phane both think. Since his daughter and wife moved out, Howie has been alone, an accidental recluse content with his fishing and his dreams of someday sailing away from himself on a boat. Emily couldn't be more different: she's irreverent, outgoing and seemingly well-adjusted. But when Emily returns from college to care for her dying grandfather, Howie can't help but notice her increasingly erratic behavior - not to mention her newfound love of nocturnal gardening. 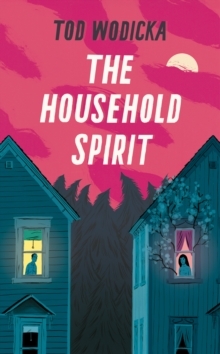 The thing is, although they've lived side by side in the only two houses on rural Route 29 in upstate New York since Emily was born, Howie and Emily have never so much as spoken. Both have their reasons: Howie is debilitatingly shy; Emily has been hiding the fact that she suffers from a nighttime affliction that makes her both terrified to go to sleep, and question the very reality of her waking life . 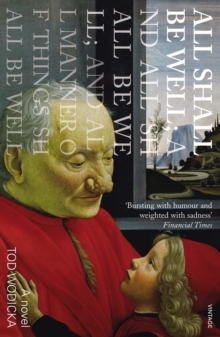 It is only when tragedy strikes that their worlds, finally, become joined in ways neither of them could ever have imagined. 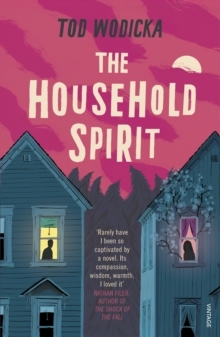 A poignant, big-hearted, and often humorous novel about two very unique individuals unceremoniously thrown together, The Household Spirit is a story about how little we know the people we see every day - and of the unexpected capabilities of the human heart.